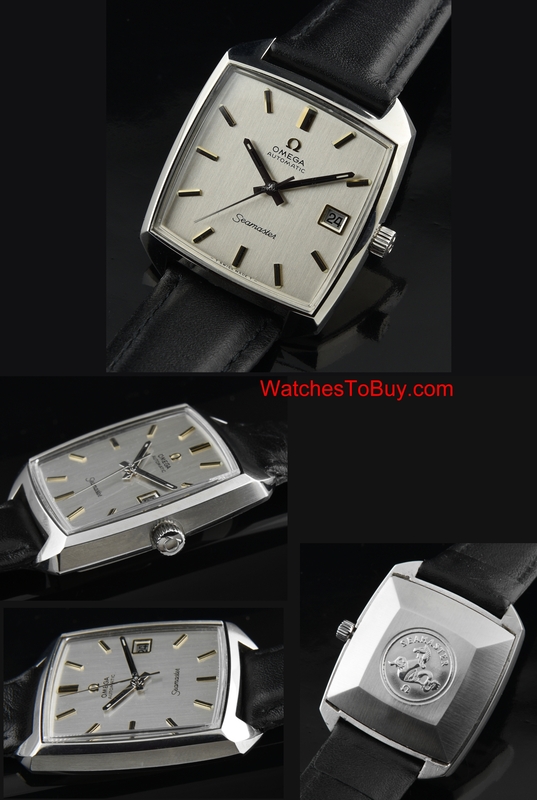 This is a VERY uncommon and massive Omega Seamaster automatic with a compressor style case. The case measures a LARGE 33.4x40mm. and truly looks like new. The silver original dial and handset again-pristine. The OMEGA signed crystal is perfect. The original OMEGA crown is present. The reference 166.042 11-70 case is signed as such inside. The caliber 565 automatic winding movement was just recently cleaned by OMEGA CANADA and is accurate. 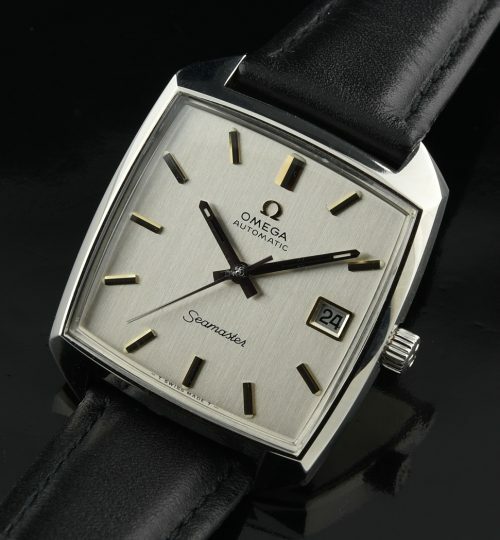 The This watch is seldom seen as it was marketed mainly in Europe and in lower numbers than many other OMEGAS. I really have to stress this is an AMAZING looking and imposingly “cool” watch on the wrist.